I always thought hearing loss was just a result of being around loud noise when you were younger. But I'm learning that there is often much more to it than that. Two weeks ago, I had no less than three different people complaining that their hearing was decreasing. And all three of them had no history at all of being around loud noises. So what was causing their problem? And is there a way to stop the loss before it gets worse? A little research has helped me find some answers to those questions. Last week, I told you about a study that showed how taking some magnesium along with vitamin C and beta-carotene had a very significant protective effect against age-related hearing loss. Then I showed you a study showing that a diet high in carbohydrates, particularly the high glycemic carbs, could increase the chance of decreasing your hearing as much as 76%. Today, I am going to tell you about a study that shows the powerful protective effect of fish oils. The data comes from the Blue Mountains Hearing Study. 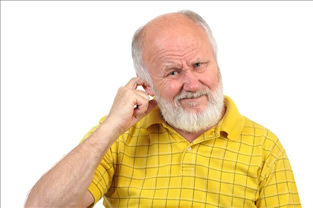 This is a long-term study that has been looking at 2,956 older men and women to find out the various factors that can lead to age-related hearing loss. One of the things they looked at was the effect of fish oils. It turns out that there is a very strong effect on hearing from fish oils. The people who were eating two or more servings of fish per week were 42% less likely to have hearing loss than those who ate fish less than once a week. And the effect was dose related. This means that as people ate progressively more fish, their risk for hearing loss progressively decreased. The authors said "Dietary intervention with omega-3 fish oils could prevent or delay the development of age-related hearing loss." So let me encourage you to eat more fish as you get older. The omega-3 oils in fish protect against almost every problem you can get as you get older. That's why for the last 30 years, I have recommended to all my patients that they take fish oils supplements on a regular basis. My favorite is Complete Daily Oils by Advanced Bionutritionals. Why? One reason is that they made it exactly according to my specifications. There is no other nutritional oil supplement like it. One capsule twice a day will deliver about the same amount of the omega-3 oils as two large servings of wild caught salmon. Gopinath B, Flood VM, Rochtchina E, et al. Consumption of omega-3 fatty acids and fish and risk of age-related hearing loss. Am J Clin Nutr. 2010 Aug;92(2):416-21.